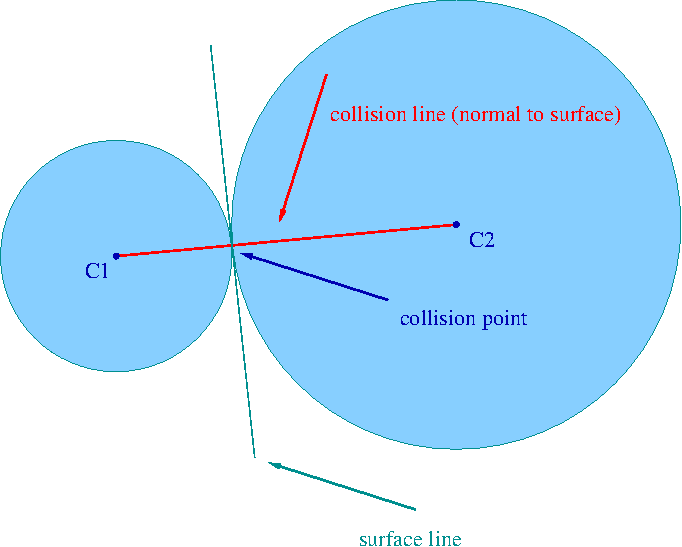 A collision is called the central collision if at the moment of collision mass centers (C1 and C2) of both interacting entities lies on the collision line. 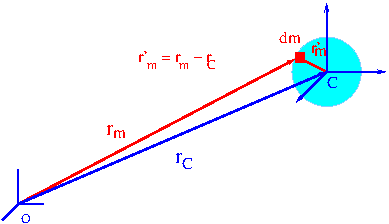 where the vector rC is the vector linking the body mass center with the immobile point O and the momentum vector p is the body momentum in the inertial system of coordinates (see Fig. 2 - systems of coordinates). It gives that L (vector!) is constant. It means that, for instance, the rotational momentum of ball in relation to its mass center does not change in time.